Grease Duct Cleaning in Simi Valley CA | Flue Steam Inc. 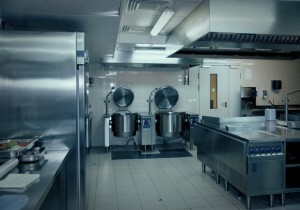 Protect your commercial kitchen with grease duct cleaning in Simi Valley CA. Professional grease duct cleaning in Simi Valley CA is very important for removing accumulated grease that could otherwise create a fire hazard. As a commercial kitchen owner, no doubt you already know this. But do you already know who to call for this service? Here are some important reasons to choose Flue Steam for your next grease duct cleaning in Simi Valley CA. We are a 40-year veteran of the industry. Our long history tells you two things: 1) we know what we’re doing, and 2) our clients are happy. 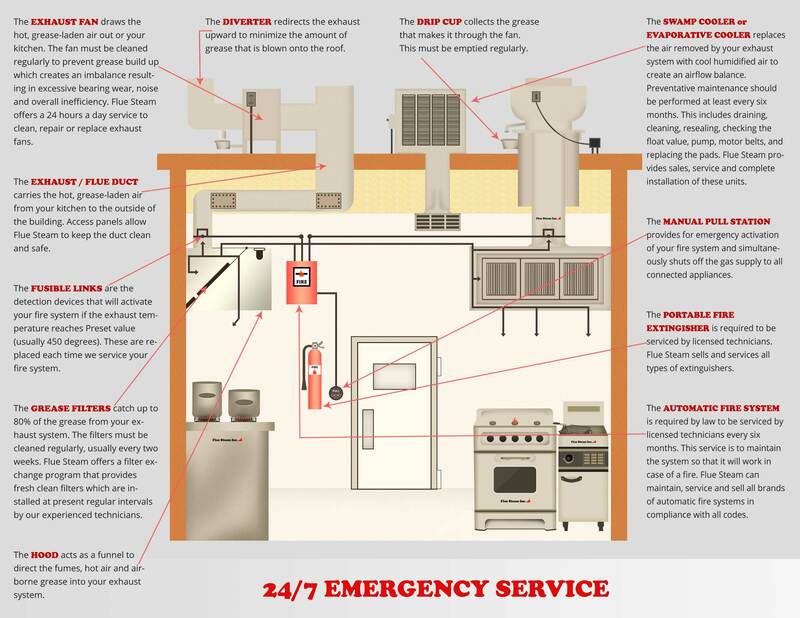 We have ample experience in meeting and exceeding code requirements for clean and safe kitchen ductwork. We employ certified technicians. As a member of the International Kitchen Exhaust Cleaning Association, we are proud to employ individuals who have completed rigorous IKECA training courses in exhaust duct cleaning and other topics. Because IKECA certifications are not given for life but must be renewed periodically, you can rest assured that our employees will always have the skills and knowledge required to complete grease duct cleaning in Simi Valley CA up to the latest industry standards. We help you tailor your cleanings to the needs of your business. When it comes to the frequency of grease duct cleaning in Simi Valley CA, you may not need to abide by the industry guideline of a hand scraping every month. After all, depending on what you cook, your kitchen ducts might accumulate grease faster or slower than average. At Flue Steam, we use an IKECA comb to help measure the depth of grease in your ducts and determine how fast it builds up and how often you need cleaning services. With our help, you don’t have to worry about wasting money on cleanings before build up has reached a worrisome level or waiting too long between cleanings and putting your property at risk. We help you stick to your cleaning schedule. At Flue Steam, we do our best to respond to all requests for grease duct cleaning in Simi Valley CA promptly so you don’t risk falling behind on this important safety measure. Our technicians will leave you with a special sticker after a cleaning to help prove to code inspectors that the work was done properly and also help you remember when your next cleaning is due.